This entry was posted in Black Belt, funakoshi, knife fighting DVDs, motobu choki, toughening the fist and tagged combat art, hunting game, native american, stalking game on October 28, 2016 by aganzul. 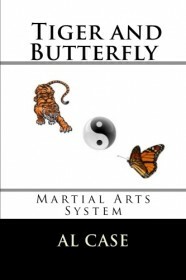 This entry was posted in american kenpo, Black Belt Course, deadliest martial arts, home study martial arts, jeet kune do, karate, knife fighting DVDs, kumite, martial arts training, real karate, self defense and tagged gun control, guns in martial arts, mental health martial arts, sanity in the martial arts on March 15, 2016 by aganzul. Rhonda Rousey on the Ellen Show! I have always enjoyed watching Rhonda Rousey. Her string of wins left me arm pumping the sky. But I didn’t always enjoy her sportsmanship. I was put off when she would just glare at her opponents, reuse to bump gloves, and otherwise treated them in a manner most shabby. Mind you, some trash talk is good. Some trash talk is nothing more than showmanship, brings in the customers. But Rhonda’s trash talk, her general attitude, was not. The other day Rhonda went on the Ellen Show, and there proceeded to emotionalize in a terrible manner. Yes, feeling bad over a loss is understandable. But threatening suicide? And this unpleasant show of emotion had me considering her fight with Holly Holm once again. Rhonda walked into punches, which, on the Ellen Show, she claimed had her feeling like she wasn’t there. And behind this tirade was the feeling that Rhonda felt it wasn’t fair. It wasn’t fair that she got hit. It wasn’t fair that she didn’t feel good after being hit. But she was! Everything she was saying was an excuse, and a display of emotionalism and bad sportsmanship. Don’t get me wrong, I like Rhonda, I am anticipating her next fight. I want to see a comeback. But I want to see a comeback with maturity, with a new attitude, with the idea that all fighters deserve respect. If Rhonda does that, then perhaps she will deserve to win again. This entry was posted in american kenpo, deadliest martial arts, goju, home study martial arts, jeet kune do, knife fighting, knife fighting DVDs, martial arts books, most powerful punch, shorin ryu and tagged holly holm, mma, rhonda rousey, ufc champion on February 21, 2016 by aganzul. What a perfect HanaKwanMass eve! let me give you a thought. and it cleans you out. and negative energy creates negative energy. have a great work out. This entry was posted in american kenpo, Black Belt, Black Belt Course, fut ga, home study martial arts, Kang Duk Won, karate, knife fighting DVDs, martial arts philosophy, one inch punch, self defense, shaolin, uechi and tagged karate, kenpo, kung fu, Martial Arts, night before, taekwondo on December 25, 2015 by aganzul.